Be Instructed by a real British Touring Car Racing Driver! 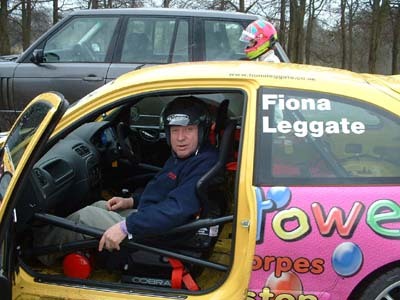 Whether you are a Track Day Event co-ordinator requiring an instructor or a individual looking for a more personal one to one instruction with your own car, Fiona can coach and push drivers to their maximum driving skills and teach you techniques that even the British Touring Car Drivers use. Fiona can be booked for Track Days, Birthdays, and Anniversaries etc. We can accommodate your needs by booking circuits or by just meeting you there! 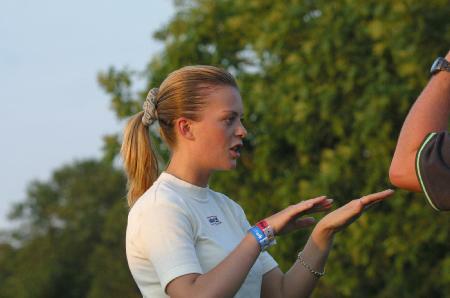 Fiona is currently working for Ford, SEAT UK, Formula Women and Javelin TrackDays. Be taught by qualified ARDS Instructor and real Race Professional. For more information please e-mail or call 01205 870384. If your company is bored of the same old team building activities or tied of the same work outings you attend every year, then why not try something new and exciting. Imaging the thrill of being locked in a full race harness of a real racing car and then being driven around a track at high race speeds. A real hair raising experience and a chance of a lifetime. You will feel like a real racing driver at speeds of up to 130 mph and cornering speeds of 90 mph. Drifting around corners you will be albe to smell the rubber as the tyres try to grip the track! Fiona can supply a full race specification car which includes a passenger seat. This can be arranged for any race circuit of your choice. All you have to do is turn up at the circuit. One happy customer Darren Smith who works for a local leisure company said "Absouluty fantastic, I haven't stopped shaking since getting out of the car, Fiona told me after that she was only driving at 85%! Last year we went paint balling but this beats it hands down." So if you are a company looking for a great day out just send us an e-mail with your details. We can arrange to suit your needs!